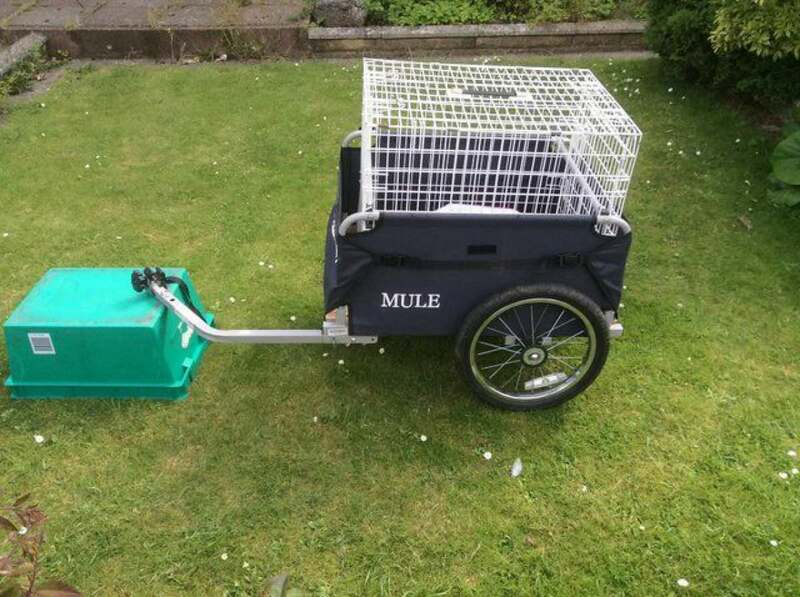 This is a Raleigh Mule Flatbed Bicycle Trailer. 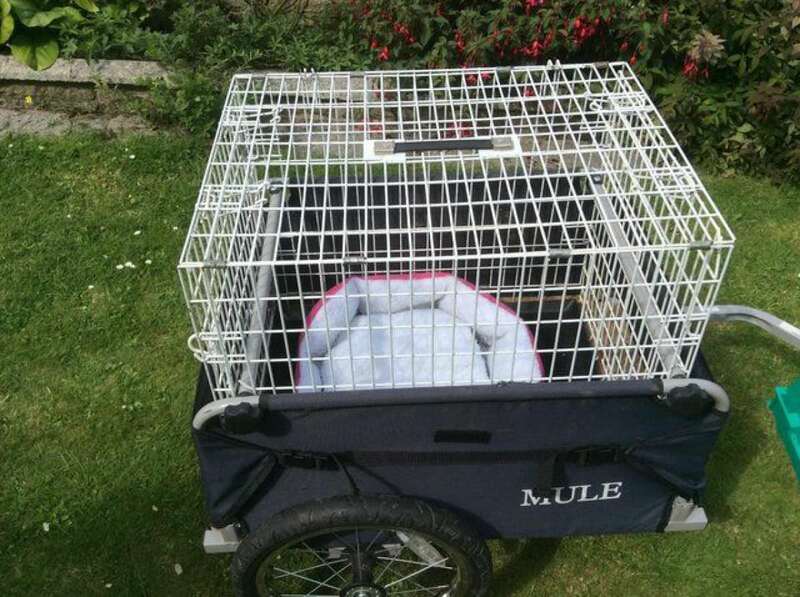 It attaches (very easily) to the back of the bicycle, and I have it currently adapted for use as a trailer for my dog, which means that you can take them with you (they love it). 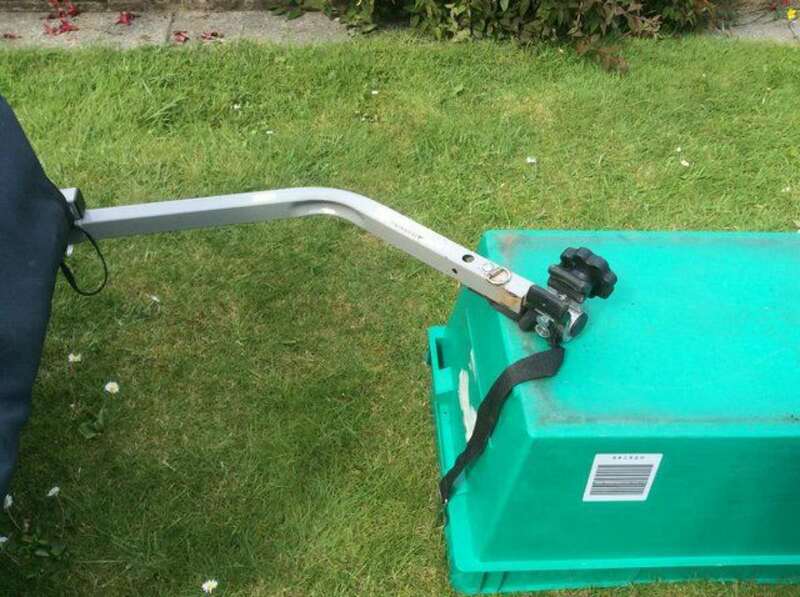 It can easily revert to an all-purpose carrier and for easy storage it folds flat, the wheels being detachable. The attachment "clip" is very quick and uncomplicated.